The definition of enthusiasm is “great excitement for or interest in a subject or cause”. Enthusiasm is about purpose and passion – not results. Define what your enthusiasm is. Why you do what you do. And when the hardship comes, whether itâ€™s today, tomorrow, or next week, remind ourselves of that why. Circumstances do not dictate effort – only we do. *7 second descent, 3 second pause in bottom. 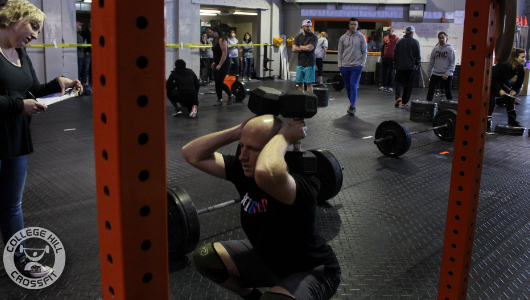 This is a very slow, and lengthy squat repetition – and fully intended to be so. Leveraging time under tension to our advantage, we can pull a potent stimulus from these repetitions at controlled weights. All percentages below are based off our 1RM Back Squat. All repetitions are also taken from the rack.